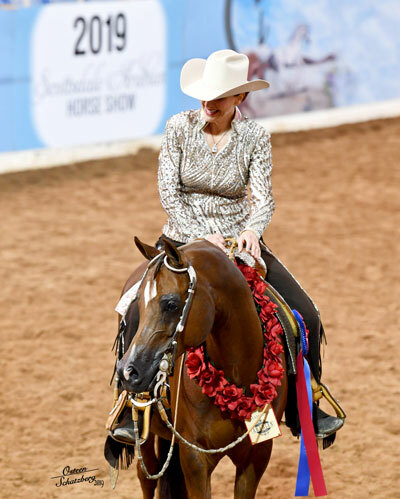 The largest Arabian horse show in the world; the Scottsdale Arabian Horse Show celebrated its 64th Anniversary February 14-24, 2019 at WestWorld in North Scottsdale. 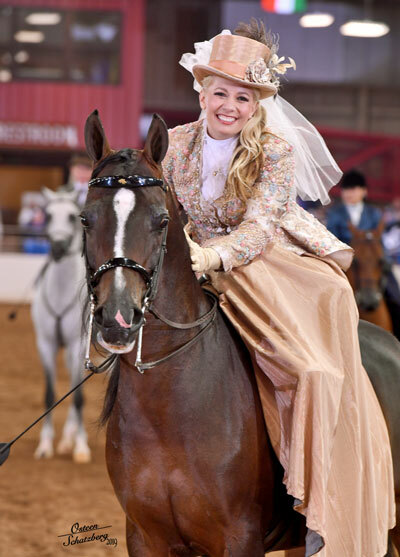 Referred to as the ‘Greatest Horse Show On Earth’, due in part to its annual success at entertaining over 300,000 people from 50 countries, while over 2200 world class Arabian and Half Arabian horses compete for over 2 million dollars in prize money. 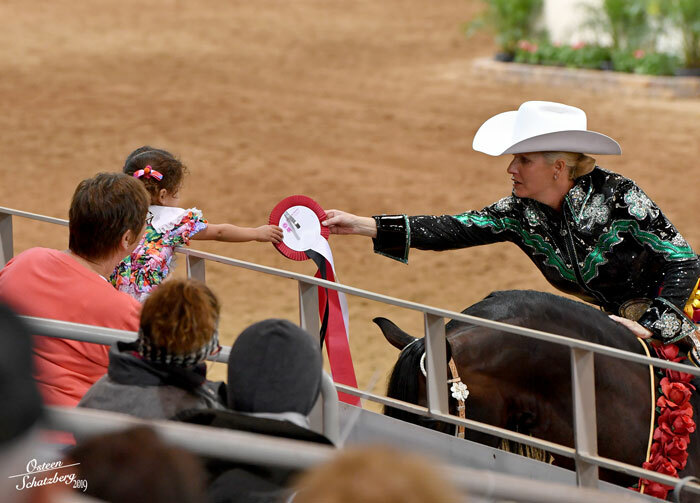 The Scottsdale Arabian Horse Show offers something for everyone from families looking for something new to do to serious breeders and competitors enjoy nearly every aspect of the event. 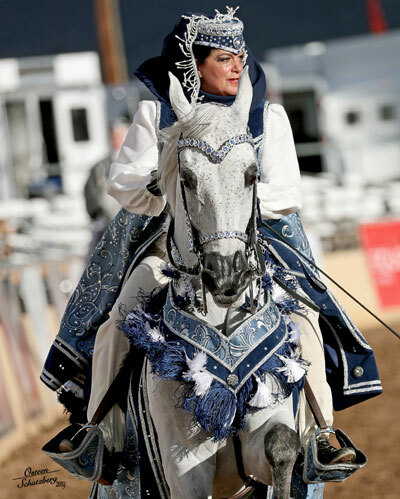 This year the weather was not the “typical” Scottsdale Arabian Horse Show warm weather experience most likes to come for. This year due to rain the outdoor arenas had to be moved under cover, the show must go on and on it did! Morning halter classes typically held in the Al Nayfat Wendell Arena were moved to the covered arena close by while the international style Arabians presented in the beautifully decorated AlJassimya International Arena stayed in their elegantly decorated arena both were there to provide excellent opportunities to see some of the most beautiful and famous Arabian horses in the world. Cowboys and cowgirls of every level were not deterred by the elements they enjoyed the opportunity to show off their versatility and didn’t skip a step the best of the best still showed up to compete. The Markel Insurance Equidome provided an indoor experience for a variety of performance classes on a daily basis with a great schedule and a variety of competitions taking place each day spectators filled the seats to watch the Western Pleasure, Liberty, Native Costume, and English Pleasure classes just to name a few. The Lead line class where kids seven (7) year of age and younger make their debut in the main arena with the help of a capable handler leading the horse had a whopping 28 entries. 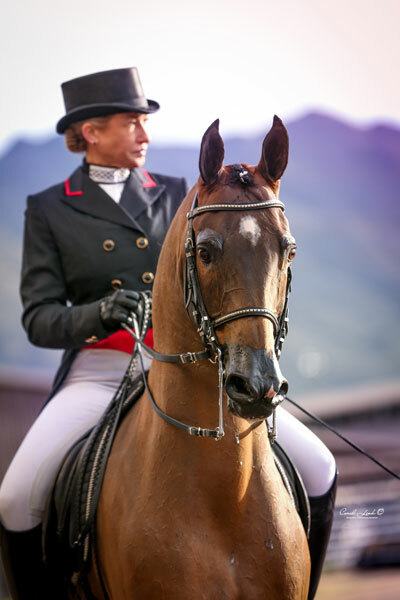 In the neighboring arenas dressage, sport horse, trail horse and jumping competitions occurred with as many as 6 arenas going on a day with competition. With over 1000 different competitions going on over 11 days the show did not have time to break for the uncooperative weather. Special guests and celebrity sightings happen often at the show. 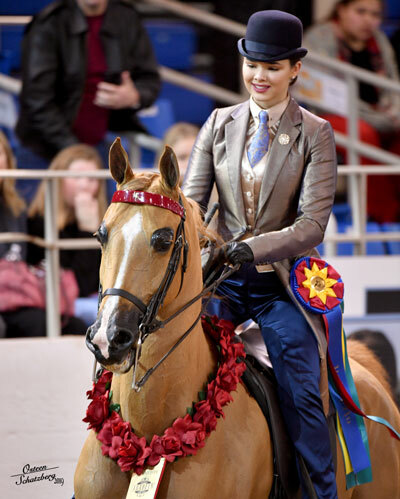 One of this year’s celebrity ‘sightings’ was exciting for all Shania Twain attended the first few days of the show in hopes of finding a new Arabian horse to add to her family! The Scottsdale Show again welcomed the Marquise Auction Group back for the third year in a row. 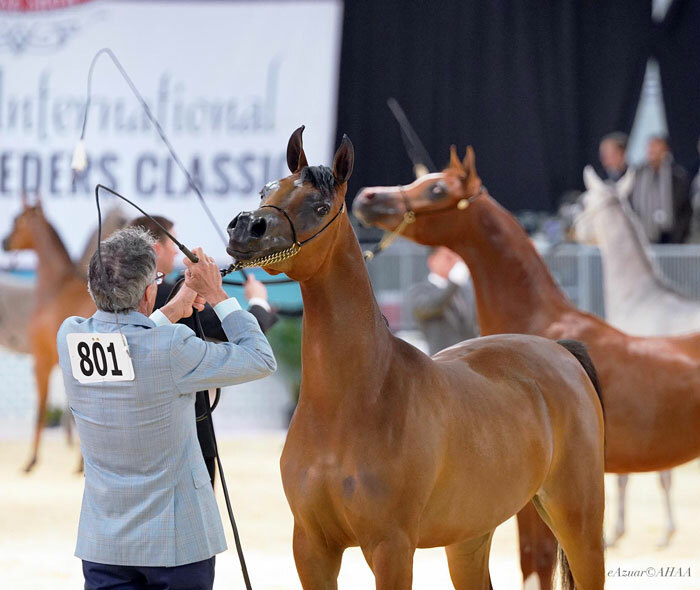 The Marquise Auction Group showcased a few of the superstars in the Arabian breed in a an elegant live auction environment 20 lots were auctioned off to the elite Arabian horses bidders and onlookers. The event was amazing with a golfing green inspired stage and water walls the setting was unlike anything ever seen in the Arabian world. The guests were treated to wonderful food, live entertainment and a beautiful display of Arabian horses the evening was magical. Each year the event hosts a variety of events where attendees are invited to learn and get to know Arabians horses, the Family Fun Zone offers many FREE activities that cater to the entire family including an Ice cream social following the leadline class the first Saturday, Meet an Arabian Horse where kids of all ages as well as some adults can sit on an Arabian horse dressed in Native Costume and get their photo taken. Each person is sent home with a photo of them on a horse so they can show their family and friends. The Paint-A-Pony (Ceramic Horse Painting) is sponsored twice throughout the show by John and Sharon Ames of Whispering Pines Ranch where 800 kids (400 each day) can come and paint a ceramic pony and take it home with them all at no charge. The Art Contest and Photo Contest are always a great stop to check out the artwork of many of our local elementary schools. The photo contest attracts amateur photographers to submit their works of are that are displayed at the front entrance for all to see. Behind the Scenes Barn Tours were a hit again this year as they allow people to get a sneak peek at the equine competitors at the show and it is a great opportunity to learn some tricks of the trade as well see what it takes for the horse competitors to get ready for the show. Another banner year at the show with world class competition, shopping, dining, family activities, charitable giving, events, auctions there really was ‘something for everyone’ statement hold true at the ‘greatest horse show on earth’ and largest event of its kind, the Scottsdale Arabian Horse Show.